But what did you think of the story of how F*** Off progressed into Freak Out? I thought it was awesome! I don't think he's been turned away from anything since that song came out. NEW YORK, Sept. 4, 2013 /PRNewswire/ -- Sirius XM Radio (NASDAQ: SIRI) announced today that Pearl Jam members Eddie Vedder, Stone Gossard, Jeff Ament, Mike McCready and Matt Cameron will answer fan questions during an intimate Q&A session with an audience of SiriusXM listeners, moderated by Lightning Bolt producer Brendan O'Brien, as part of the SiriusXM "Town Hall" series. "SiriusXM's Town Hall with Pearl Jam" will take place on Thursday, October 3 at a secret location in Seattle and will air on Friday, October 11 at 12:00 pm ET via satellite on Pearl Jam Radio, channel 22, and through the SiriusXM Internet Radio App on smartphones and other connected devices, as well as online at siriusxm.com. The Pearl Jam "Town Hall" will feature the band answering questions about their much-anticipated tenth studio album, Lightning Bolt, which is scheduled to be released on October 15. In addition, the audience attending the "Town Hall" will hear Lightning Bolt in its entirety; this will mark one of the rare first times the new album will be played for anyone in a public setting. SiriusXM subscribers will have the opportunity to enter the "SiriusXM Pearl Jam Town Hall Sweepstakes" for a chance to attend the event, and may possibly even win a trip for two, including airfare and hotel, in a separate sweepstakes to be announced later. For details, listen to Pearl Jam Radio and visit SiriusXM Pearl Jam Town Hall Sweepstakes - SiriusXM Radio for Official Rules for each sweepstakes. "We're excited to head into uncharted band territory with our SiriusXM 'Town Hall,'" said Pearl Jam guitarist Stone Gossard. "Since this is one of the first times that any of our fans will have the chance to hear Lightning Bolt, I'm psyched to see how they respond to the new music and to answer some of their questions about the making of the record." "Pearl Jam and their music have become emblematic of a generation of rock music and have inspired musicians for the past two decades, and they continue to create new music that has intensity and passion," said Scott Greenstein, President and Chief Content Officer, SiriusXM. "This event, broadcast from the band's home town, will offer lucky winners the opportunity to ask questions in person to one of the world's most influential bands. For subscribers nationwide it will be a rare treat to hear directly from the band." For rebroadcast times of the "Town Hall," visit Pearl Jam Radio - Pearl Jam 24/7 - SiriusXM Radio. "SiriusXM's Town Hall with Pearl Jam" is part of SiriusXM's "Town Hall" series, featuring intimate gatherings with iconic musicians, entertainers and figures and a studio audience of SiriusXM listeners. Previous "SiriusXM Town Hall" specials have featured Bruce Springsteen, Willie Nelson, Billy Crystal, Tom Petty, Soundgarden, Tony Bennett, Quentin Tarantino, Taylor Swift, Aerosmith, Coldplay, Alicia Keys, Ringo Starr, Roger Waters, KISS, Gregg Allman, Usher, Crosby, Stills and Nash and the surviving members of Nirvana. I dig the new single. It's a kind of punky PJ. Loud and angry is what they do best. I'm curious what the rest of the disk sounds like. If the album is half as cool as the album cover I'll dig! SiriusXM wants to give you and a guest the chance to attend a special invitation-only â€œTown Hallâ€ event with Michael J. Fox to celebrate the debut of his new sitcom, The Michael J. Fox Show. This exclusive event will take place on Monday, September 23rd at the SiriusXM Studios in New York City. Michael J. Fox is best known for his portrayal of iconic characters such as Alex P. Keaton in the television series Family Ties and Marty McFly in the major blockbuster trilogy Back to the Future. In his new television show The Michael J. Fox Show, debuting September 26 on NBC, Michael plays news anchor Mike Henry as he returns to work after being diagnosed with Parkinsonâ€™s. That would be cool to meet MJF. NEW YORK, Sept. 9, 2013 /PRNewswire/ -- Sirius XM Radio (NASDAQ: SIRI) announced today that Gloria Estefan, international pop superstar, legendary crossover artist and entrepreneur, will sit down for an intimate, bilingual Q&A session with an audience of SiriusXM listeners, moderated by famed blogger Perez Hilton, at the SiriusXM studios in New York City as part of its "Town Hall" series. "SiriusXM's Town Hall with Gloria Estefan," will feature the international star answering questions about her personal life, musical career and influences â€” from her early days as a member of the Miami Sound Machine to her life-changing injury - and her highly anticipated album, The Standards. The special will air the day of the album's release Tuesday, September 10 on SiriusXM Viva channel 147 and SiriusXM Latidos channel 520 at 5:00 pm ET. For rebroadcast times, please visit Town Hall Radio - SiriusXM Radio. "We are excited to feature this special event with Gloria Estefan, the most successful crossover Latin artist of all time," said Scott Greenstein, President and Chief Content Officer, SiriusXM. "SiriusXM listeners across the country will be drawn to the captivating conversation about Gloria's decades-spanning successful career, the obstacles she has had to overcome, and how she has paved the way for a generation of artists who have followed her. Hear from the artist herself what it means to be a true music pioneer." Gloria Estefan is a seven-time GRAMMYÂ® Award-winning singer, songwriter, actress, and entrepreneur whose unprecedented international career continues to thrive. Her latest album, The Standards, will be released by Sony Masterworks and celebrates tunes from the American Songbook featuring classics sung in English, Spanish, Italian, Portuguese and French. Born in Havana, Cuba, Estefan is married to 19-time GRAMMYÂ® Award-winning producer, Emilio Estefan, Jr., and is the most successful crossover performer to date with an estimated 100 million records sold worldwide. She has been the recipient of numerous awards including BMI Songwriter of the Year, MTV Music Award, and the American Music Award of Merit, among others. "SiriusXM's Town Hall with Gloria Estefan" is part of SiriusXM's "Town Hall" series, featuring intimate gatherings with iconic musicians, entertainers and figures and a studio audience of SiriusXM listeners. Previous "SiriusXM Town Hall" specials have featured Bruce Springsteen, Willie Nelson, Juanes, Billy Crystal, Tom Petty, Tony Bennett, Quentin Tarantino, Taylor Swift, Aerosmith, Coldplay, Alicia Keys, Ringo Starr, Roger Waters, KISS, Gregg Allman, Usher, Crosby, Stills and Nash and the surviving members of Nirvana. Mario Armando Lavandeira, Jr., professionally known as Perez Hilton, is an American blogger and television personality whose blog, perezhilton.com, is one of the most highly-trafficked celebrity sites. After the broadcast, "SiriusXM's Town Hall with Gloria Estefan" will be available on SiriusXM On Demand for subscribers listening via the SiriusXM Internet Radio App for smartphones and other mobile devices or online at siriusxm.com. Visit SiriusXM On Demand - SiriusXM Radio for more info about SiriusXM On Demand. The SiriusXM Latino programming lineup includes the best Spanish-language talk, entertainment, sports, and commercial-free music programming. SiriusXM's Latin music channels cover a wide variety of music genres including Viva: Contemporary pop; La Mezcla: Top hits in Spanish and English; Caliente: The biggest salsa, merengue and reggaeton hits; Aguila: The sound of Norteno bands, Ranchera, Duranguense and traditional Mexican music; Flow Nacion: Latin hip-hop and reggaeton; Latidos: Latin love songs from the '90s to today; Caricia: Classic ballads; Luna: Latin percussion and Afro-Cuban rhythms blended with jazz; Rumbon: Classic salsa; La Kueva: Latin rock; and En Vivo: The official channel for the Latin GrammyÂ®, top hits and live performances. In talk and news, SiriusXM Latino offers Cristina Radio: lifestyle, health and family programming for Latinas; Inspirate! : Compelling news, talk and advice for a fuller, more meaningful life; CNN en Espanol: CNN's 24-hour Spanish-language news network; RadioFormula Mexico: 24/7 news and talk from Mexico's leading radio broadcaster; ESPN Deportes Radio: Featuring call-in talk shows and commentary from hosts about a full range of sporting events, including soccer, American football, baseball and boxing and beIN SPORT en Espanol: Featuring world class soccer and top international sports. SiriusXM Latino programming is available across the SiriusXM Internet Radio App, online at SiriusXM.com, and via satellite. For more information on SiriusXM, please visit Town Hall Radio - SiriusXM Radio and Bienvenido al mundo de la radio satelital - SiriusXM Latino - SiriusXM Radio. NEW YORK, Sept. 12, 2013 /PRNewswire/ -- Sirius XM Radio (NASDAQ: SIRI) today announced that Julia Louis-Dreyfusâ€”the EmmyÂ® and Golden Globe-award winning actress and comedian known for her roles in popular television series such as Seinfeld, The New Adventures of Old Christine and currently in HBO's Veepâ€”will sit down for a Q&A session with a select group of listeners for the SiriusXM "Town Hall" Series. "SiriusXM's Town Hall with Julia Louis-Dreyfus" will feature Louis-Dreyfus answering questions about her prolific career as a star in some of the most successful shows on television, as well as talking about her new film Enough Said, opening September 18, in which she co-stars with James Gandolfini in his final film role. The "Town Hall" will be hosted by Jess Cagle, Editor of Entertainment Weekly and host of the weekly show Editor's Hour on SiriusXM's Entertainment Weekly Radio channel. "SiriusXM's Town Hall with Julia Louis-Dreyfus" will take place on Monday, September 16, and will air on Thursday, September 19 at 8:00 pm ET on Entertainment Weekly Radio, via satellite on channel 105, and through the SiriusXM Internet Radio App on smartphones and other connected devices, as well as online at siriusxm.com. For rebroadcast times, please visit Town Hall Radio - SiriusXM Radio. In Enough Said, a divorced and single parent, Eva (Louis-Dreyfus) spends her days dreading her daughter's impending departure for college. 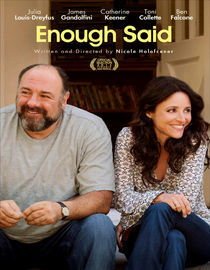 She meets Albert (Gandolfini) a sweet, funny and like-minded man also facing an empty nest. As their romance blossoms, Eva befriends Marianne (Catherine Keener), her new client whose ex-husband is Albert. 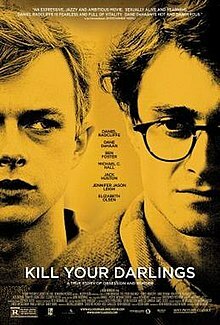 Marianne is a poet who seems "almost perfect" except for one prominent quality: she rags on her ex-husband way too much. Eva then finds herself doubting her relationship with Albert when learning the truth of Marianne's ex. "SiriusXM's Town Hall with Julia Louis-Dreyfus" is part of SiriusXM's "Town Hall" series, featuring iconic entertainers and figures sitting down with studio audiences of SiriusXM listeners. Previous SiriusXM "Town Hall" specials have featured Bruce Springsteen, Billy Crystal, Quentin Tarantino, Carol Burnett, Tom Petty, Willie Nelson, KISS, Coldplay, Ringo Starr, Taylor Swift, Hugh Jackman, Cardinal Timothy Dolan, Roger Waters, the surviving members of Nirvana, Gregg Allman, Usher and Tony Hawk. SiriusXM is giving you the rare opportunity to enter for a chance to attend a very special Town Hall event with The Clash, one of the worldâ€™s most iconic and influential bands. At this exclusive event, founding members Mick Jones and Paul Simonon will answer questions from an intimate audience of SiriusXM subscribers about The Clashâ€™s entire body of work, including the just-released 2-CD album, Hits Back, and the deluxe 12-disc box set, Sound System. To qualify, we're asking SiriusXM subscribers to submit their most original and insightful questions about The Clash for the chance to ask their question to Mick Jones and Paul Simonon in person at the Town Hall on Thursday, September 19 at the SiriusXM Studios in New York City. For more information on The Clash, visit The Clash | The official website. SiriusXM wants to give you and a guest the chance to attend a special invitation-only â€œTown Hallâ€ event with Robin Williams in celebration of the debut of his new sitcom, The Crazy Ones. This exclusive event will take place on Monday, September 25th at the SiriusXM Studios in New York City. The Town Hall will feature Robin Williams answering questions from an intimate studio audience of SiriusXM listeners, about his career and life. To qualify, we're asking SiriusXM subscribers to submit their most creative questions about Robin Williams for a chance to ask their question to him in person at the Town Hall. The winners and their guests will also have the opportunity to attend an exclusive meet-and-greet at the SiriusXM Studios immediately following the event, where they will have their picture taken with him. Starting at 12noon, join 1st Wave host Richard Blade as he sits down with Neil Tennant and Chris Lowe of the Pet Shop Boys as they answer questions from subscribers amd talk all about their new album "Electric" and past hits, too plus stories on the road of their incredible world tour. Katy Perry sits down for a Q&A session with a select group of listeners for the SiriusXM â€œTown Hallâ€ series. Moderated by the Morning Mash Up's Nicole Ryan, Stanley T, Rich Davis and Ryan Sampson, you'll hear Perry answer fan questions about her upcoming album Prism a week before its release on October 22. NEW YORK, Oct. 10, 2013 /PRNewswire/ -- Sirius XM Radio (NASDAQ: SIRI) today announced that Katy Perry will sit down for a Q&A session with a select group of listeners for the SiriusXM "Town Hall" series on Friday, October 11. Moderated by SiriusXM Hits 1's The Morning Mash Up hosts Nicole Ryan, Stanley T, Rich Davis and Ryan Sampson, "SiriusXM's Town Hall with Katy Perry" will air on Tuesday, October 15 at 12:00 pm ET on SiriusXM Hits 1 and through the SiriusXM Internet Radio App on smartphones and other connected devices, as well as online at siriusxm.com. For rebroadcast times, please visit Town Hall Radio - SiriusXM Radio. "SiriusXM's Town Hall with Katy Perry" is part of SiriusXM's "Town Hall" series, featuring iconic entertainers and figures sitting down with studio audiences of SiriusXM listeners. Previous SiriusXM "Town Hall" specials have featured Bruce Springsteen, Tom Petty, Pearl Jam, Willie Nelson, Alicia Keys, KISS, Coldplay, Cher, Ringo Starr, Taylor Swift, Hugh Jackman, Usher, Roger Waters and the surviving members of Nirvana. For more information on Katy Perry, please visit KATY PERRY // Official Website //. SiriusXM wants to give you and a guest the chance to attend a special invitation-only â€œTown Hallâ€ event with Mike Tyson in celebration of the debut of his new tell-all memoir, Undisputed Truth. The Town Hall will feature Mike Tyson answering questions from an intimate studio audience of SiriusXM listeners, about his career and life. To qualify, we're asking SiriusXM subscribers to submit their most creative questions about Mike Tyson for a chance to ask their question to him in person at the Town Hall. The winners and their guests will also have the opportunity to attend an exclusive meet-and-greet at the SiriusXM Studios immediately following the event, where they will have their picture taken with him.